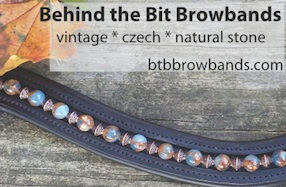 Behind the Bit: Horze squishy dressage whip -- in brown! Horze squishy dressage whip -- in brown! This is my new Horze Ashton dressage whip, shown here in brown, but available in black, red, and blue too. At $12.95 it's hard to complain about the price! I think they should call it the squish whip because the handle is a wonderful, spongey hand grip that is probably a gel-substance. It is also available as an Ashton jumping bat for $10.95. The whip itself is more or less medium in its whip-like action, neither stiff nor floppy. It comes in 100 or 120cm. I love that the lash is woven on to the end of it. That part always ends up falling off my dressage whips. Do you find the nobby end part to be wide enough to avoid sliding through your hands? I think I need the jumping version in my life!